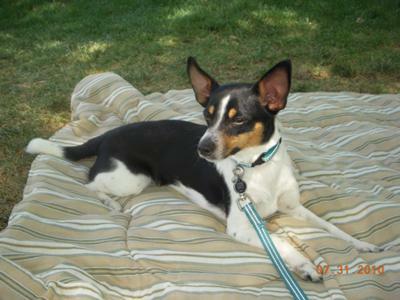 I am looking for a female Jack Chi. Smooth coated, erect ears. I live in a distant, rural area, so the selection at the animal shelter is very limited. Please check with rescues, animal shelters and humane society in your local area. 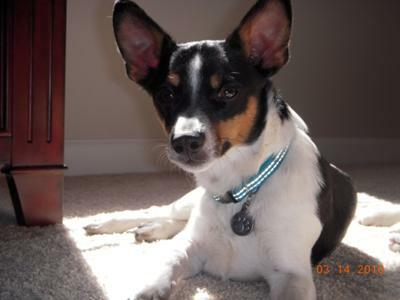 There are numerous Jack/Chi mixes waiting to be adpopted. This is a very common mix breed of dog. I have to ask how you were able to adopt him from an Animal Shelter without him being neutered? Pleas neuterer him IMMEDIATELY for his health as well as to do your part in helping STOP so many WONDERFUL dogs just as Fawkes is from being killed because there just are not enough homes for them. What is the name of the Animal Control/shelter that you adopted him from? This fab 3 year old Jack Chi has had a hard life. He was found wondering the streets and no one tried to claim him in our Animal Control. There are 37 purebred and mixed Chihuahua's ready for adoption there now. Please ask people to adopt from the Humane Societies. Half of these dogs will probably end up Euthanized for lack of homes. Your dog may be wonderful to you but only 1 in 8 dogs live their life with one owner (not counting their first 6-8 weeks of life) so what happens to the offspring you don't keep. Millions of small (and large) dogs are Euthanized because of the lack of homes. Don't let this happen to puppies you breed so you can have offspring of your pup. You will love one you rescue just as much and a rescue dog will love you more.Ah come on, be a sport. My new dog looks a lot like yours.